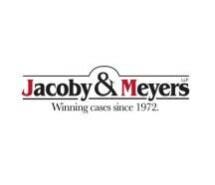 The law firm of Jacoby & Meyers, LLP, was founded in 1972 to ensure that the average American could get the exceptional legal assistance that he or she needed. We believe that skilled attorneys should be accessible to everyone. Whether you need guidance through personal injury, bankruptcy or criminal defense, our New York lawyers are ready to help. As pioneers in legal reform who remain steadfastly grounded, our attorneys provide personal service, individual attention and prompt communication to clients through all phases of the legal process. We understand that each case and every client is different, so our approach remains fresh. Our lawyers can draw upon past experiences to guide the development of a strategy, but we strive to remain as unique as we are effective. 40 years ago, Jacoby & Meyers, LLP, recognized the need for a full-service law firm that could handle even the most complex case while maintaining affordable fees. We have implemented a strategic plan to operate the firm at maximum efficiency by expanding the role of paralegals and developing a systematic method of managing cases. Do not hesitate to contact the law firm of Jacoby & Meyers, LLP, to schedule a free consultation with an experienced and dedicated attorney.